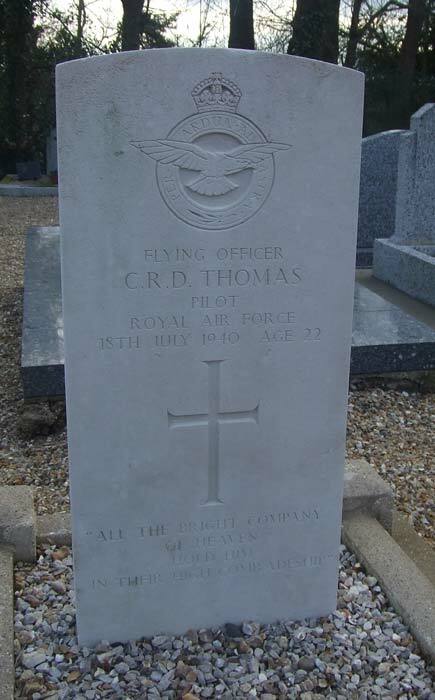 Charles Raymond Delauney Thomas was born on 24th September 1918 and joined the RAF on a short service commission in June 1937. 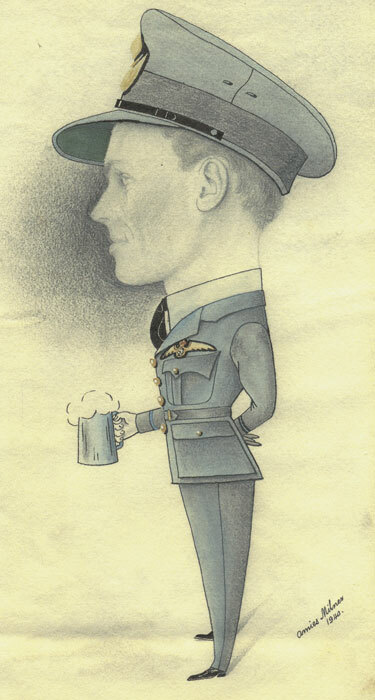 He was posted to 10 FTS at Tern Hill on 21st August and after completing his training he joined the FAA Pool at RAF Gosport on 10th October 1938. 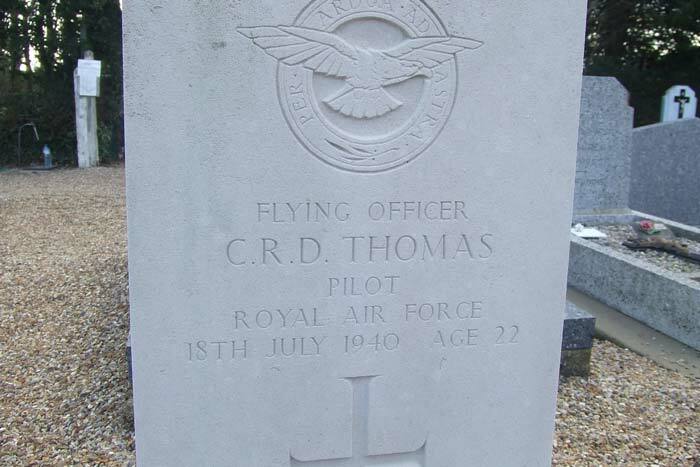 In January 1940 Thomas joined 236 Squadron, operating from Thorney Island. 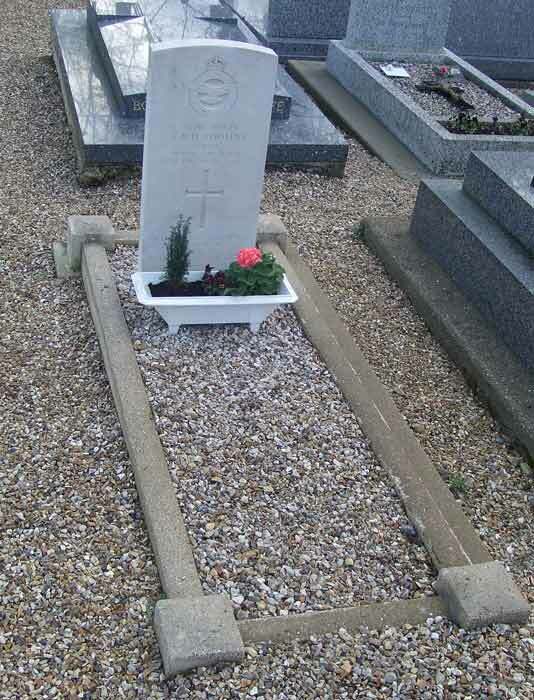 On 18th July he was captain of Blenheim L6779 which failed to return from a photo-reconnaisance over Le Havre. 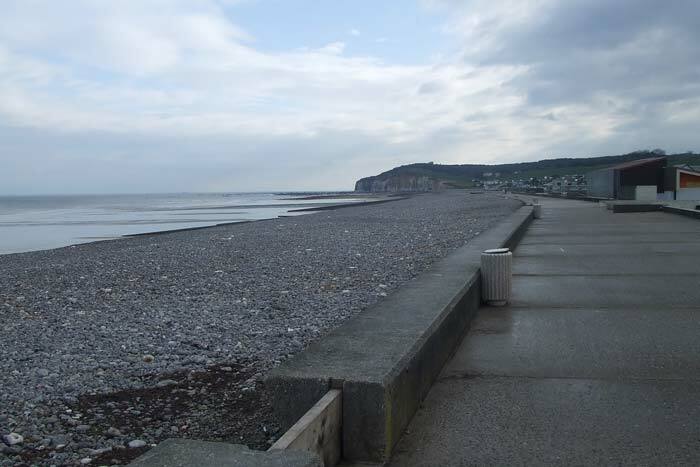 The weather was bad and there was intense anti-aircraft fire over Cap de la Hague. The aircraft may have been shot down by Major W Schellmann of JG2 who made a claim on this day. The gunner, Sgt. HDB Elsdon, was reported Missing. 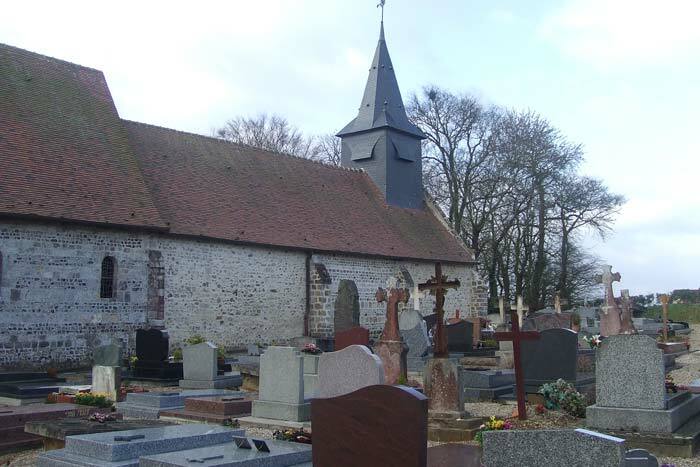 Thomas was killed, aged 22, his body was recovered and is buried in Quiberville churchyard.